Especially harsh operating environments sometimes necessitate an extra level of protection for chainwheels. Many chain wheels are used in the petrochemical industry, where they are exposed to chemicals, extreme temperature or humidity. In such cases, we offer stainless steel chainwheels to extend the life of the product in corrosive environments. Stainless steel is also ideal for high moisture environments (such as offshore or marine) where corrosion resistance is important. 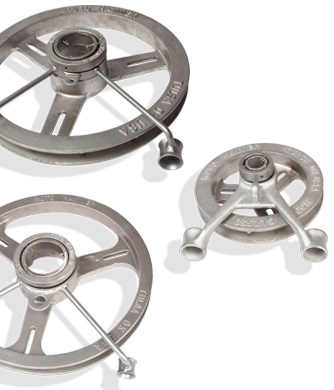 Our entire CL Series line of chainwheels is available in stainless steel. All components of the chainwheel are constructed of 316 stainless steel.